Maj. Paul Lopez, F-22 Raptor Demonstration Team pilot, shakes hands with an F-22 Raptor Demonstration Team crew chief before taking off for his certification flight at Shaw Air Force Base, S.C., Nov. 30, 2017. In order to be recognized as a certified aerial demonstration pilot, pilots must conduct an aerial demonstration in the presence of commanders at the group, wing, numbered air force, and major command levels. It’s a warm, sunny day and the flightline at Shaw Air Force Base, S.C., is inexplicably quiet. An F-22 Raptor sits idly on the concrete in front of Hangar 1200, its twin vertical stabilizers and larger frame making it stick out like a sore thumb among the base’s many F-16 Fighting Falcons. Suddenly, hard rock music and a gritty voice crash through the silence. From the right, another F-22 takes off from the runway and soars into the sky, engines roaring. The show has begun. Maj. Paul Lopez, Air Combat Command F-22 Raptor Demonstration Team pilot, was certified by Maj. Gen. Scott Zobrist, 9th Air Force commander, at Shaw Air Force Base, S.C., Nov. 30. In order to be recognized as a certified aerial demonstration pilot, specially-selected fighter pilots must complete a series of training tasks. After familiarizing himself with the routine in a simulator and completing more than 15 training rides with an experienced demonstration pilot, Lopez was ready to certify. 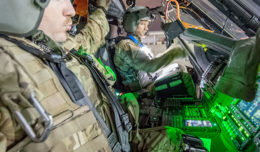 The multi-step certification process involves learning and successfully conducting an aerial demonstration routine in the presence of commanders at the group, wing, numbered air force, and major command levels. “It’s one of the steps we need in order to go on the road next year and showcase the Raptor,” said Lopez. As a demonstration pilot, Lopez will dedicate the next two years to showcasing the capabilities of the F-22 Raptor alongside other members of the F-22 Raptor Demonstration Team at air shows and special events across the country, a mission he is proud to support. 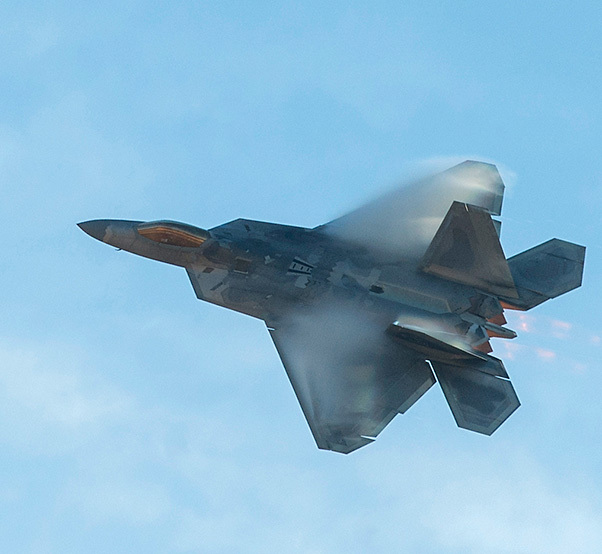 Maj. Paul Lopez, F-22 Raptor Demonstration Team pilot, performs an aerial combat capability demonstration at Shaw Air Force Base, S.C., Nov. 30, 2017. 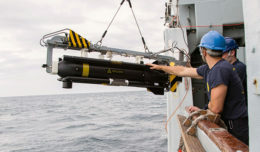 Lopez performed the demonstration, which was open to Team Shaw members, as part of the process to become a certified aerial demonstration pilot. If the crowd that gathered at Hangar 1200 to watch the certification demonstration is any indication, Lopez and his team will be highly successful at inspiring the next generation of aviators and aviation enthusiasts, or at the very least dropping a few jaws. 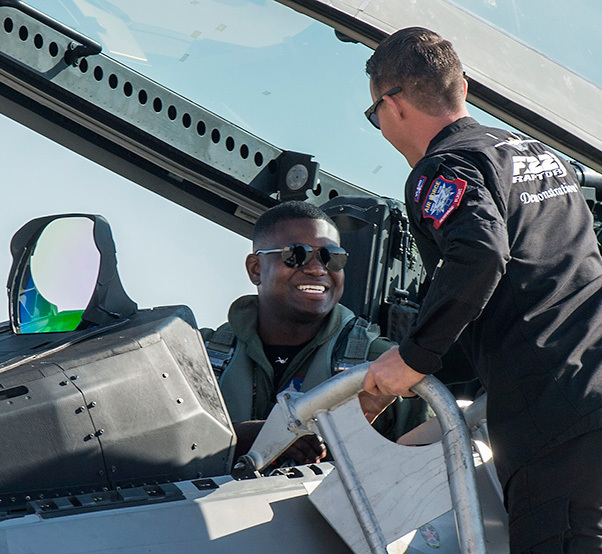 Maj. Paul Lopez, F-22 Raptor Demonstration Team pilot, smiles upon arrival at Shaw Air Force Base, S.C., Nov. 29, 2017. 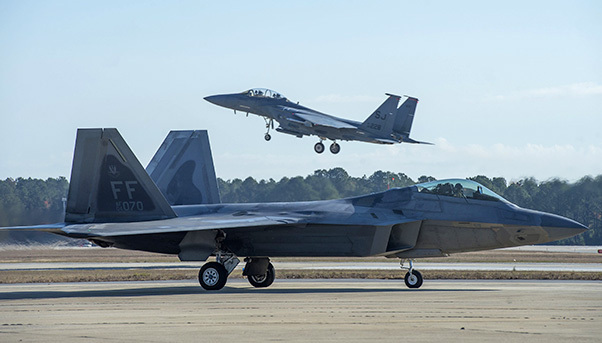 The F-22 Raptor Demonstration Team traveled to Shaw in order for Lopez, the newest member of the aerial demonstration team, to certify with Maj. Gen. Scott Zobrist, 9th Air Force commander. Lopez said he is especially excited to be certifying as an aerial demonstration pilot because he was inspired as a child by the type of demonstration he flies today. “I grew up in Virginia Beach near Naval Air Station Oceana, which is a massive jet base where they taught pilots back in the day how to fly the F-14 Tomcat, and now they’re teaching pilots to fly the F-18 Hornet,” said Lopez. “I would see those jets going over my house as a little kid. That, and my parents taking me to air shows, inspired me to be a pilot in the U.S. Air Force. To learn more about the F-22 Raptor Demonstration Team, visit www.acc.af.mil/Home/Aerial-Events/F-22A-Demo-Team/. A U.S. Air Force F-22 Raptor assigned to the 94th Fighter Squadron taxis into a designated parking space while another takes off at Shaw Air Force Base, S.C., Nov. 29, 2017. 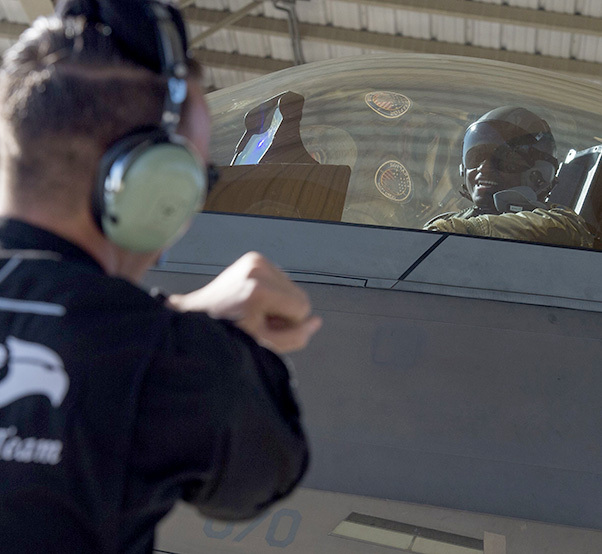 The F-22s spent time at Shaw in order to certify the newest member of the F-22 Raptor Demonstration Team, U.S. Air Force Maj. Paul Lopez, F-22 Raptor Demonstration Team pilot.